Fig. 2. Effect of graded doses of Tetrahydrocurcumin in 90 days sub-chronic toxicity study. (A) Absolute body weights of male rats in the 90-day subchronic toxicity study. 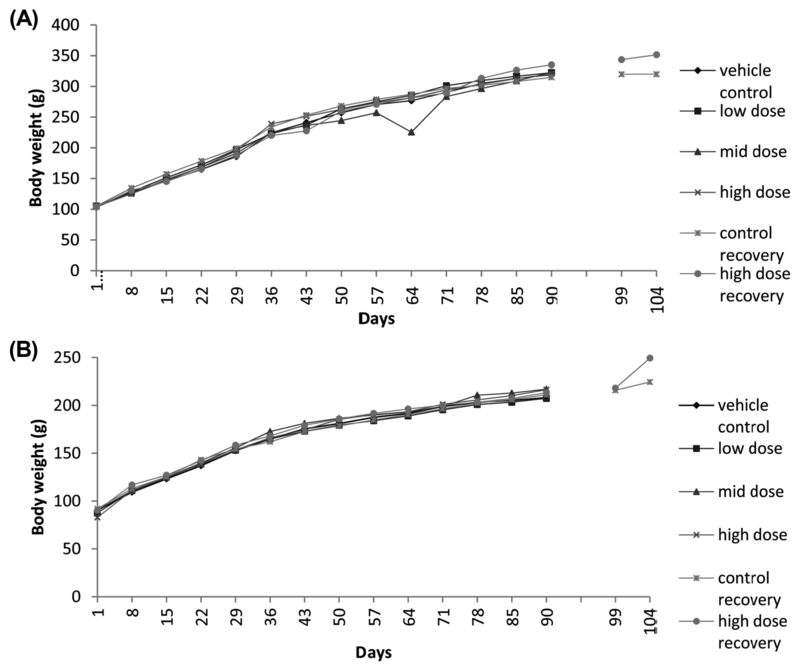 (B) Absolute body weight of female rats in the 90-day subchronic toxicity study.